The coastal town of Sandakan, situated on the northeast coast of Sabah, is famous for its history, sceneries, fresh but cheap seafood, endemic wildlife and is a popular tourist destination. 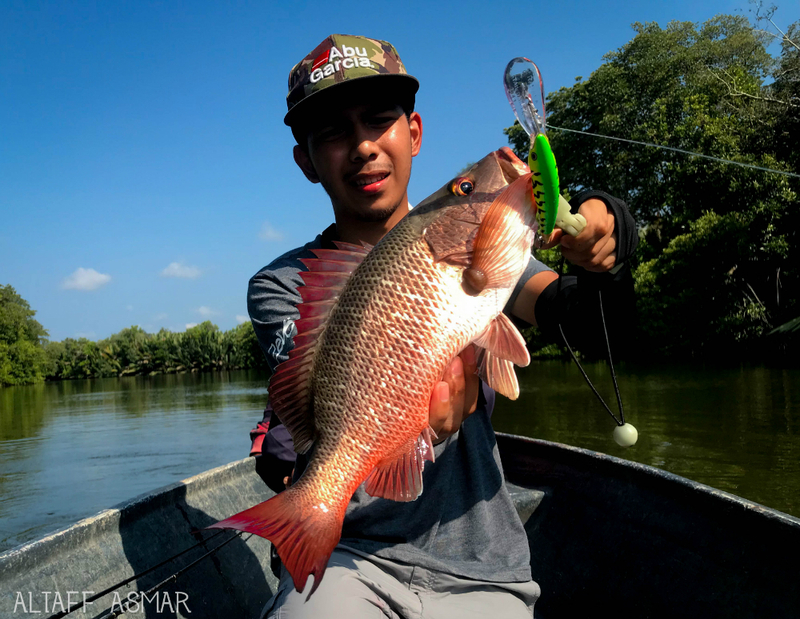 Sandakan also harbours one of the richest estuarine ecosystems in Malaysia, home to many species of game fish such as groupers, mangrove jack, trevally, barracuda, barramundi and many more. 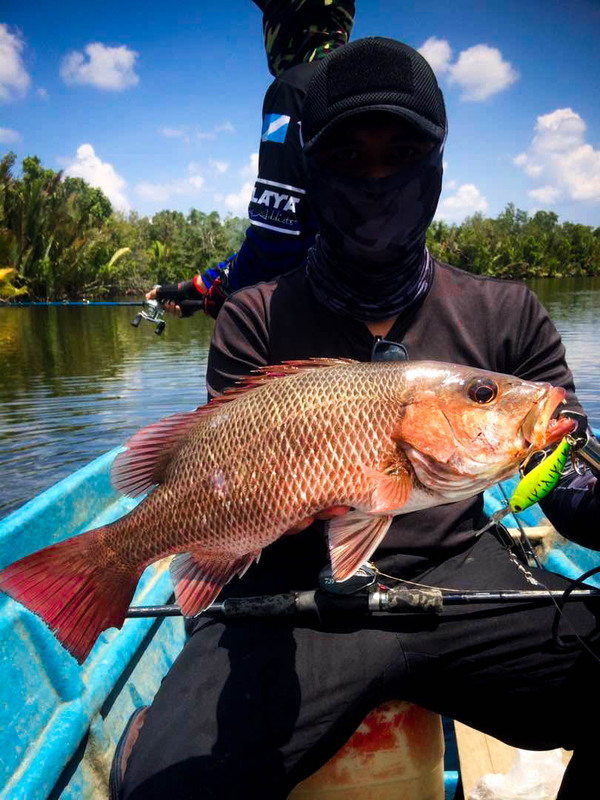 It is also home to the infamous Papuan Black Bass (Lutjanus goldiei), known locally as Kanai. On this trip, I was accompanied by members of the Malaysian Royal Navy who happen to be avid anglers, which are Mr. Apek, Mr. Apis, Mr. Arm, Mr. Azri, Mr. Aus and myself. 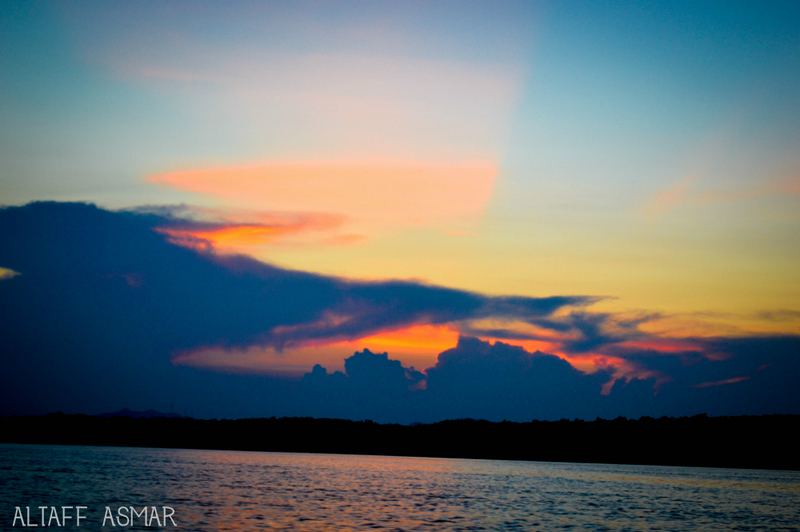 After being picked up by Mr. Apek from my home, we headed straight to the coast where our boats were waiting for us. We rented two boats, 3 anglers per boat for this trip. Upon boarding, we made a beeline straight to our first destination as we were chasing the rising tide. 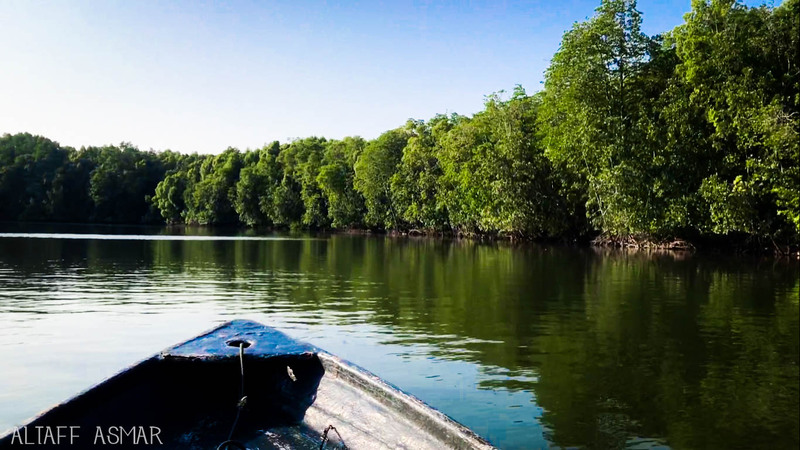 Our first stop of the day is Memiang, a mangrove river system just a 30 minute boat ride from the coast of Sandakan. Upon arrival, the conditions were perfect with clear skies, slight wind and a steadily rising tide. On his first cast, Mr. Apis was caught off guard by a decent sized barracuda striking his lure. 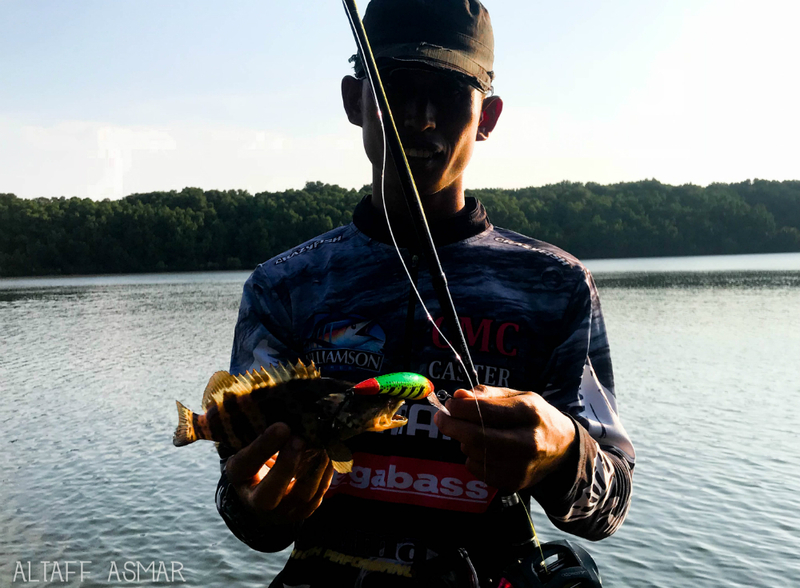 Unfortunately he wasn’t able to execute a strong enough hookset to penetrate the bony mouth of the fish and it got away after a few heart-pounding seconds. 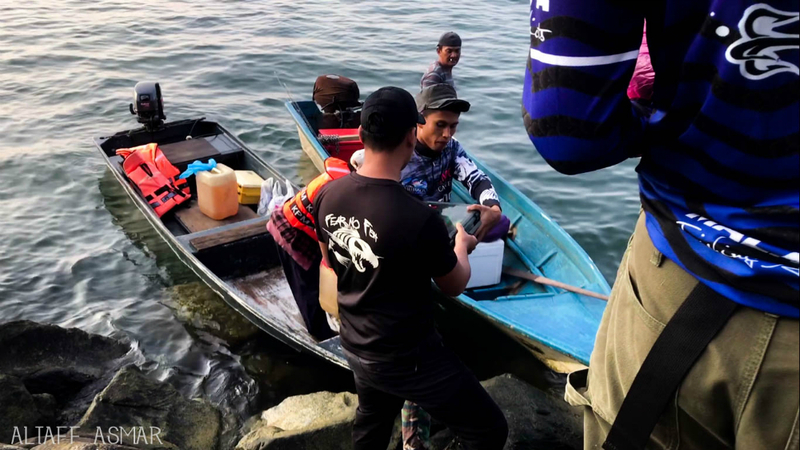 About half an hour after the wake-up call barracuda, we came up on a snag where Mr. Apek said was sure to harbour fish. On my second cast into the snag, I felt a strong tug on the other end of my line and responded with an equally strong hookset. After hearing tales of monsters breaking lines within second of the initial strike, my heart was pounding as I locked my drag and tried to pull the fish out of the snag as quickly as possible. After a while, the fish surfaced and I breathed a sigh of relief as the fish was a mangrove jack, not as menacing as its bigger, meaner cousin. I pulled it alongside the boat and Mr. Apis helped me land the first fish of the day. Not long after, I was blindly casting along the bank as there wasn’t much structure along that particular stretch of river. My lure was almost at the boat when I felt a jolt out of the blue, and I instantly saw that it was another, bigger jack. This fish had a lot more fight in it compared to the first one. After a few dives under the boat, I boat flipped the fish accompanied by a sense of accomplishment after more than a month of not catching fish. Second Mangrove Jack of the day! Again on the Rapala Tail Dancer. 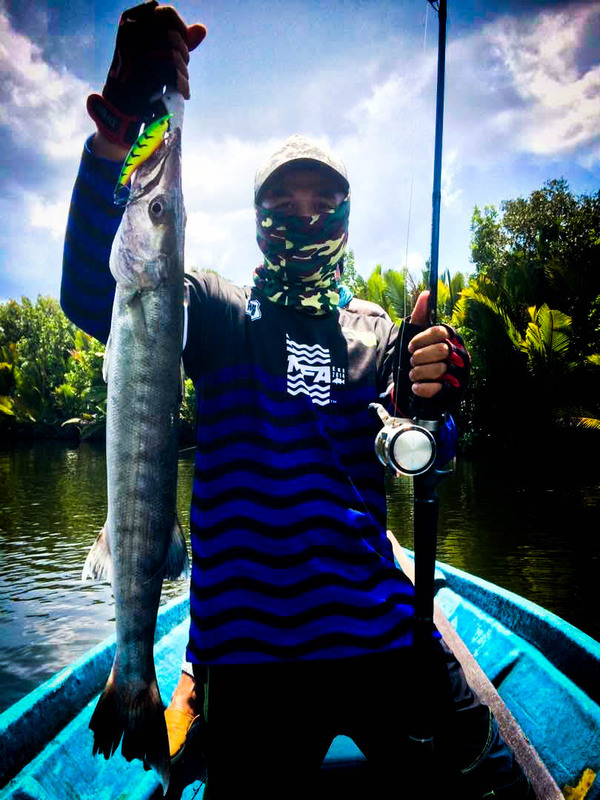 Moving on to another part of Memiang, Mr. Aus managed to hook a decent barracuda. This particular fish didn’t fight much on the way to the boat. But upon reaching the side of the boat, it thrashed erratically, putting everyone on the boat in danger of being tagged by its rows of razor sharp teeth. It was however landed safely followed by screams of joy from their boat. 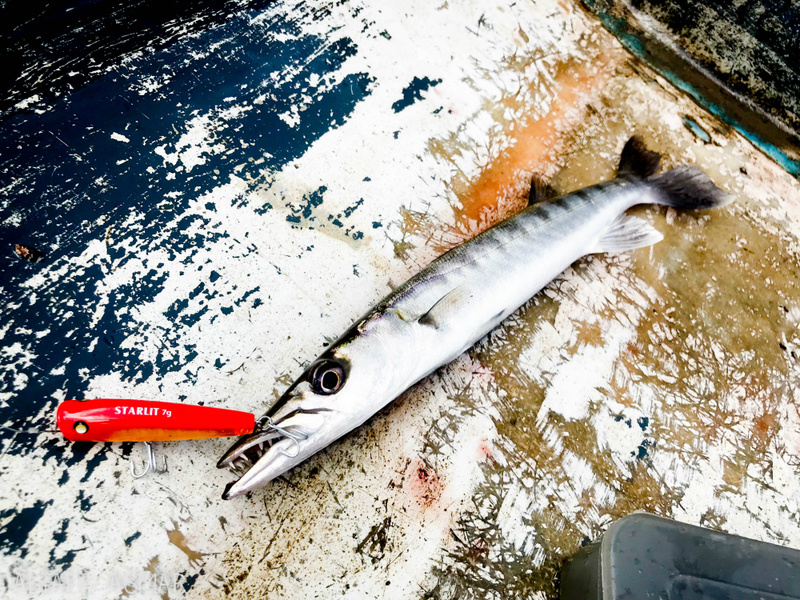 The fierce dentition of the barracuda wreaked havoc on the lure he was using by breaking the lip and later breaking it in half even though it was reinforced to take the fight of a Black Bass. Everyone was overjoyed by the prospect of not going home empty handed. But none of us have yet to hook the monster we were all after. That is until Mr Apek casts his lure into a suspicious looking snag. Only a few cranks in, he was hit with a take that could only be described as being hit by a freight train. He was so unprepared for the strike that he almost had his setup ripped right out of his hands. Fearing the beast would break him off in the snags, he locked his drag and went one on one trying to subdue the fish on the other end of his line. The brawl everyone was waiting for! 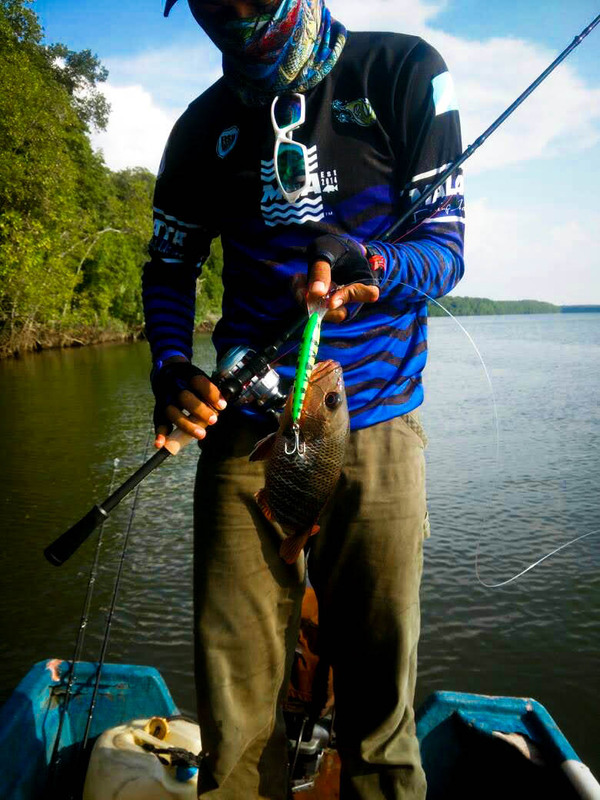 After a few tense minutes, the fish finally surfaced and it’s none other than the beast itself, the Papuan Black Bass. Even fighting against Mr. Apek’s PE 2-4 rod, it gave him a run for his money by diving under the boat and threatening to cut the line on the engine propellers. But Mr. Apek stood steady as an oak and didn’t give the fish any chance. It was finally landed and everyone cheered and congratulated Mr. Apek. Mr. Apek and his black beast! 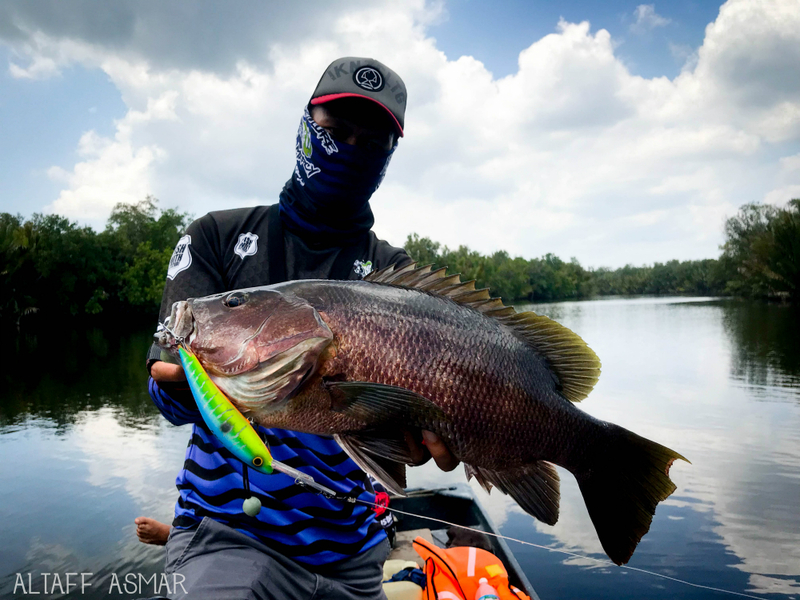 Malaysia's very own Black Bass or locally known as Tembaring. After the big fight, everyone took a break and had lunch. 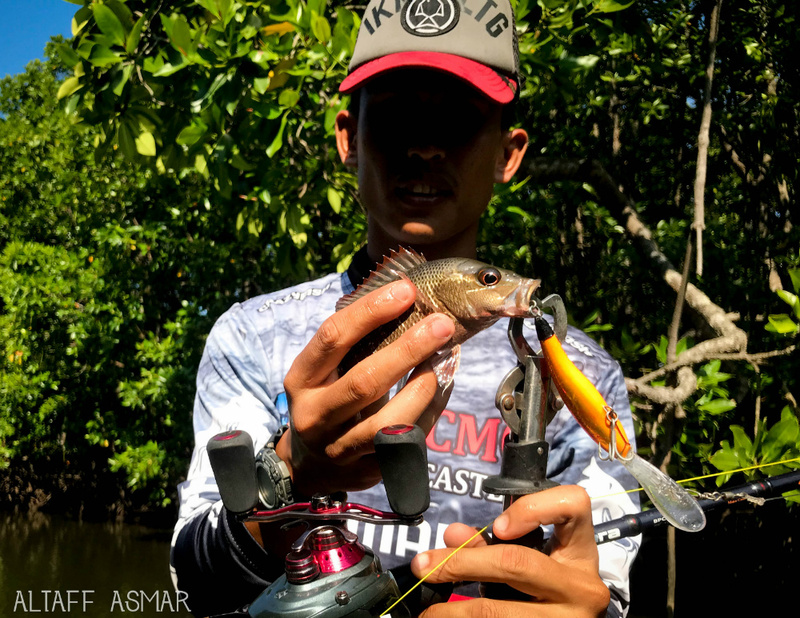 Though the day was not over, a few more fish were landed afterwards including my tiny barracuda on topwater, Mr. Arm’s nice jack, Mr. Azri’s jack as well as another jack and grouper from Mr. Apis. Mr. Apis' and the only sole Grouper of the day! 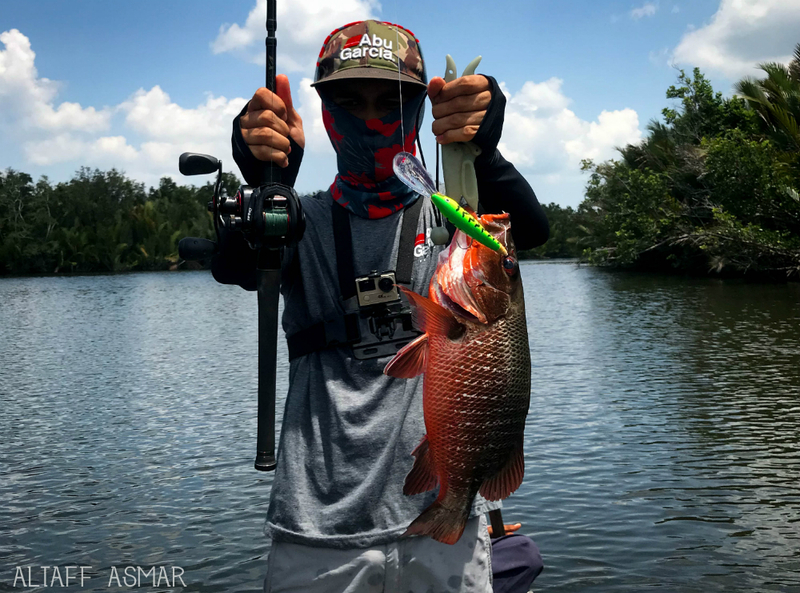 Considering the fact that we were hunting big fish amongst nasty snags, I presumed my setup was pretty heavy with a 10-25lbs rod, 40lb braid and 60lb mono leader. But my setup was considered light compared to the other artillery used that day with the heaviest being a PE 3-4 rod, 100lb braided mainline and 80lb leader. 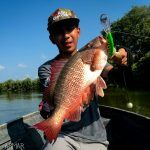 The lures were also huge with the smallest being the Ofmer X-Deep 85 but most of the lure used being more than 100mm in length. 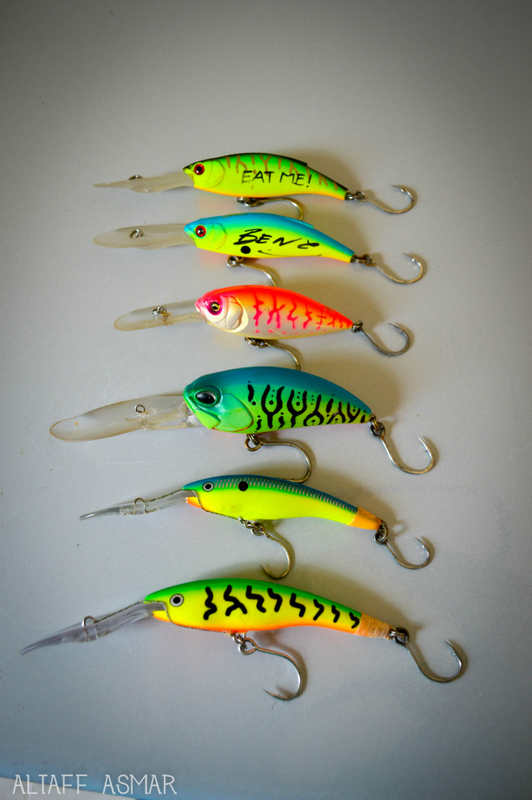 All were deep diving crankbaits that have been reinforced to handle the strain and stresses of fighting a huge fish with tremendous jaw strength. Overall, it was a satisfying and tiring day where I made new friends and learned new tactics to use in the mangroves. 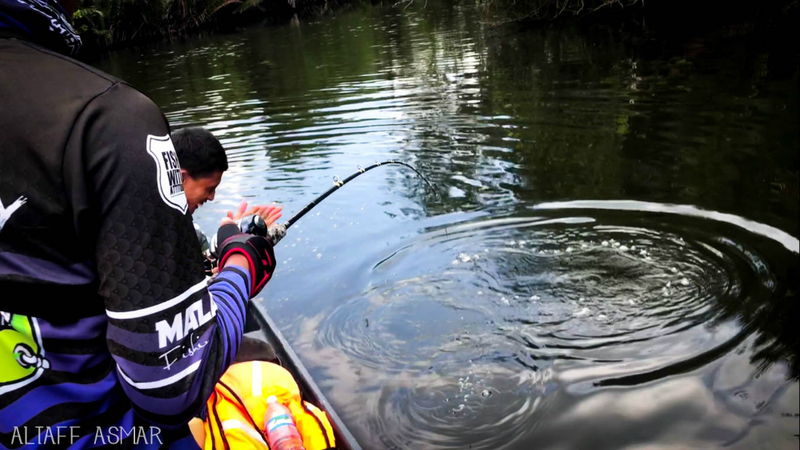 Last but not least, it left me determined and craving for my very own encounter with the legendary Papuan Black Bass.